In 1934, Philip Sharp of Poole of Dorset bought a Lymington L-Class Yacht, designed by Jack Laurent Giles, and called her Sally. In 1936, he asked Laurent Giles to draw him a slightly larger 5 tonner for his personal use in the harbour and Solent. The resulting yacht became the second Vertue, which Philip called Sally II. She was based on the V1 Andrillot‘s design but sloop rigged instead of gaff rigged, and also with a less exaggerated sheerstrake. Sally II was built by Elkins of Christchurch, and launched in the spring of 1937. 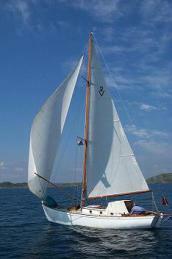 She was kept in Poole, sailing mainly in the Solent until the mid 1990s. She was then bought by Adrian Morgan, and moved to Ullapool which is in Ross-shire, in the Scottish Highlands, in around 1999. Sally II has won a few races under Adrian’s ownership and has cruised to Brittany and the West Country, throughout The Solent and as far east as Chichester. By lorry to Edinburgh, she transited the Forth-Clyde Canal in 2001, and made her way up the west coast, to Stornoway and beyond, and now lies to her mooring opposite Ullapool. She is 75 this year and, Adrian says on his blog, “as sound in timber as the day she was launched, thanks to her tungum bronze strap floors (as used on hydraulic pipes in Wellington bombers), pitchpine planking and oak timbers, two steamed to every grown frame in the standard construction of the 1930s”. 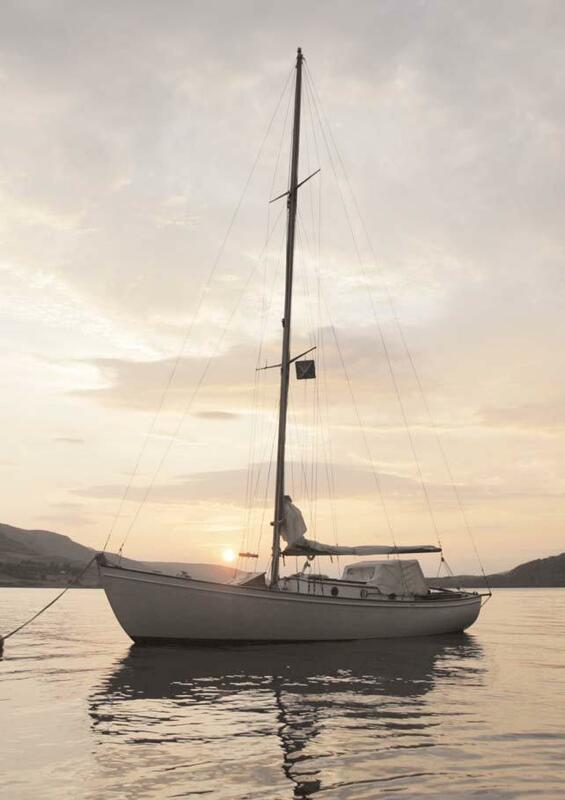 Adrian is a boatbuilder, running Viking Boats of Ullapool, which builds traditional Norwegian larch on oak clinker-built dinghies built to row, tow, motor or sail. So he should know! You can find his web site here. Sally II also features in a November 2004 Yachting World article on Vertues, which was part of a series on Modern Classics, which Adrian has on his website but which you can also download here.